Since a year we are hearing the news of Windows 9 launch. In between Windows upgraded from Windows 8 to 8.1. A preview version of Windows 9 is now expected to be unveiled and it seems that we have a set date. 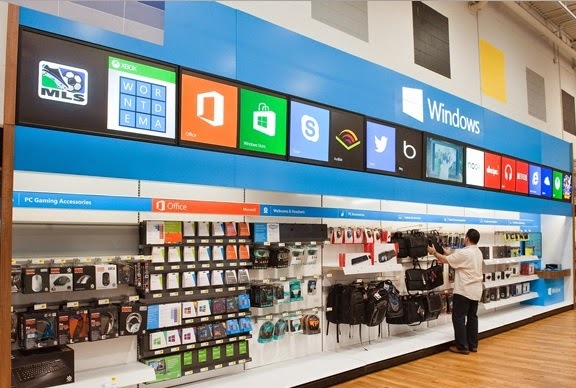 Microsoft has scheduled to reveal Windows 9 on September 30, 2014. Windows 9 - What's special? Windows 9 is the product name for the next major Operating System from Microsoft.It is likely to be the numeric names given to the various versions of Windows according to its release. What is meant by the word “Threshold”? Threshold is the codename for the next version of Windows after Windows 8. Threshold is rumored as Windows 9. Actually the codename refers to the wave of operating systems across Windows-based phones, devices and gaming consoles. Any chance for 64 Bit platform ? Since years, people have been saying that Microsoft should move to 64 bit platform. Once again, this is not going to be a controversial release. When a smartphone iPhone's iOS has 64 bit support then why not for Windows. The rumor says that it will be available in April 2015 when Microsoft might release this Operating System to the public. In January 2014, Paul Thurrott, a Microsoft analyst said he believes the company plans to release Windows 9 (codenamed Threshold) in April 2015, less than three years after the release of Windows 8. Some Rumored Features Of Windows 9? Microsoft is planning to further merge the Desktop and Modern UI. Microsoft will allow Modern UI apps to run in the desktop. It will also allow Modern UI apps pinned to the Start Menu instead of a Start Screen. We can see it with Windows 8.1 already and may continue with subsequent updates for Windows 9 too. Windows users felt helpless when they didn't find the most popular "start button" in Windows 8. Later on, in its Windows 8.1 update they included the start button. Windows has been doing R&D with its start menu button and it is expected that we will find some refined and better version with more categorized view of apps listings. A big move was there when Microsoft released Windows 8 after Windows 7. It was a total change on how Windows looks and users were experiencing comfortability issues with the new interface. In this case, there will be subtle changes but nothing aggressive like what they did previously. Microsoft continues to run its search engine Bing along with all its OS versions. So, Windows 9 will be no exception. It is also expected that there will be some improved and categorized integration with Bing what we see now in the next version of Windows. Microsoft has been pushing to leverage Azure for cloud storage. Microsoft may integrate parts of the Operating System into the cloud for storage purposes for string files, pictures, videos and other stuffs. Microsoft has already improved the power management feature with Windows 8 and Windows 8.1 and this was very much expected. Subsequently it is very much expected to get more efficiency with its next version of Windows. Seeing other competitors, Microsoft may also integrate the gesture recognition feature in Windows 9. You can expect that it would introduce gesture based computing. Windows 9 could be better equipped with its security features along with fingerprint recognition. Microsoft has been using a good security feature from Windows 7 onwards and it is expected that it will continue this even it will improve with its major release. 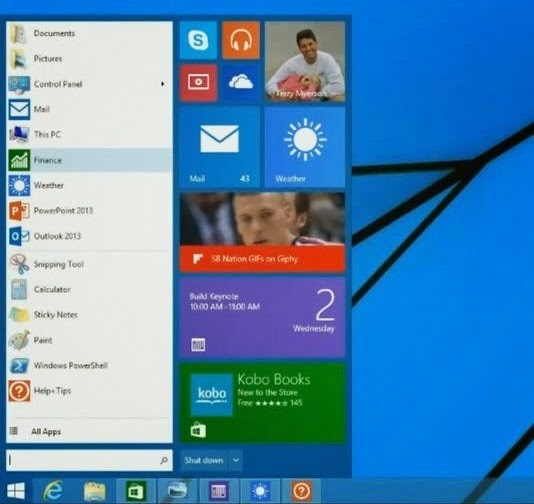 Also find the below leaked video over net that reveals new Notification center in Windows 9. As of now we can hope that the above features would be included in Windows 9. Lets wait for any further update from Microsoft Windows team regarding its forthcoming Windows 9.